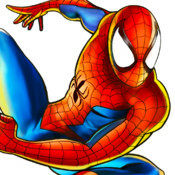 • The first Spider-Man web-runner! 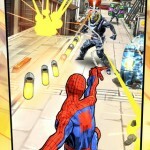 Swing, run and fight through chaotic Manhattan in over 5 different Marvel environments! 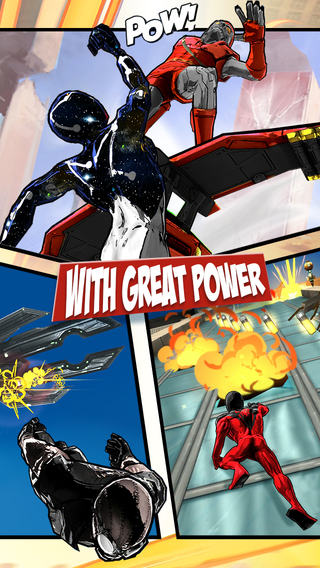 • Go beyond a runner with unique gameplay! 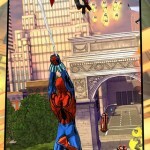 Battle dimensional super villains, swing, wall-climb and skydive! 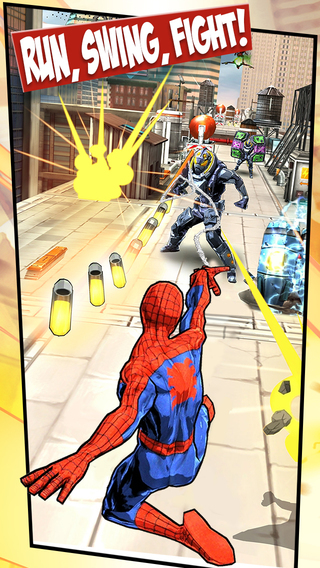 • Play story mode with 5 boss battles and 25 missions per Issue! New daily events with spectacular rewards in Event mode! 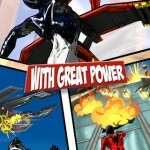 Or climb up the leaderboards in Unlimited mode! 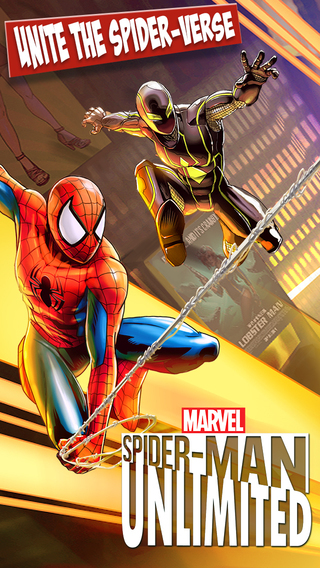 • A continuing episodic adventure: The Sinister Six are moving from dimension to dimension – and our world is next! 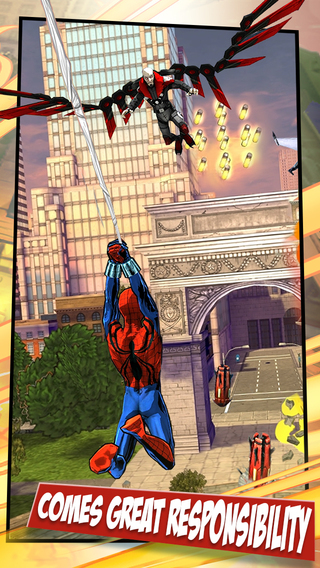 But it ends now… with an army of Spider-Men! 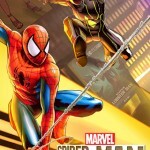 MOST SPIDER-MEN EVER IN A GAME! 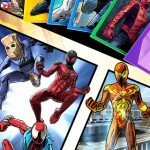 • Summon, collect and play with tons of Spider-Man cards from the Marvel Universe, including Spider-Man Noir, Cosmic Spider-Man, and Scarlet Spider! 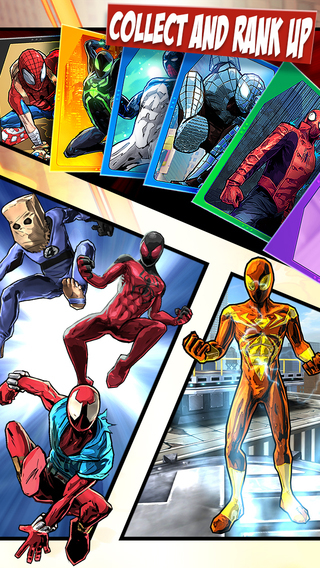 • Collect, fuse, and level up your Spider-Men, each with their own unique in-game benefits, and send them on Spidey Ops missions!